Actively participate in committees and task groups. For more than 30 years Jug Johal has been an avid supporter of rugby, playing at club level for Scunthorpe RUFC and Moseley RFC and at county and international level for India Rugby. 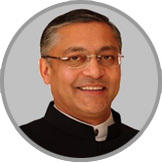 Jug has been campaigning for equality and inclusion of Asian communities in sport for the past decade, having co-founded the British Asian Rugby Association in 2004. Jug’s latest project with the support of the ASF Board of Trustees and its ambassadors will continue with this campaign by supporting National Governing Bodies, National Governing Organisations, clubs and committees at a strategic level to deliver tangible projects which break down cultural and religious barriers and provide sporting benefits to an under-represented minority ethnic community. Jug is also an executive board member at Northern Lincolnshire and Goole NHS Foundation Trust and has collective responsibility for ensuring that the Trust is able to deliver high quality and effective services at all times at its three hospitals and community sites. Jug leads the directorate of estates and facilities ensuring that the estate and service strategies are in place to ensure a safe, secure and high quality patient environment both within the Trust and to other organisations to whom the Trust provides estates and facilities services. Jug, who lives with his family in Lincolnshire graduated as a Sports Therapist and has a Master’s degree in Leadership in Health &Social Care. 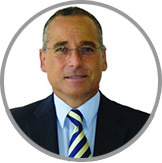 Sat is Chief Executive of The Fortel Group of businesses and joined the family-owned business as Operations Director in 2005 after achieving a 1st Class BSc in Computer Science and Business Studies from the University of Birmingham and a career in investment banking with the US bond brokerage firm, Bear Stearns in Canary Wharf. Sat represents the second generation of the family and has been the driving force behind the accelerated growth of the company, doubling the business over the last five years. Sat and the management team strive to support the local community and religious venues and a variety of charities, which in the past have included British Heart Foundation and The Sikh Channel through numerous fundraising events. 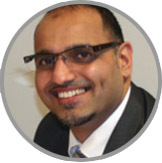 He is also involved in the economic development of Walsall Borough through a founding member seat on the Public/Private joint initiative The Walsall Economic Board, a member of his local PPG and an alumni member and regular attendee of The Sunday Times Fast Track 100 events. 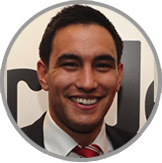 Liam Scully is Chief Executive of Club Doncaster (Formerly Doncaster Rovers) Community Sports & Education Foundation, a Member of the Football League Trust Advisory Board, Chair of the Team Doncaster Inclusion and Fairness Forum and Trustee at the Asian Sports Foundation. Liam is also a Hall of Fame member with the National Apprenticeship Service which he was inducted into in recognition of his 13 year career which started as one of the first ever apprentices to be hosted at a professional football club. Liam is committed to his work with the registered charity that works with young people and adults across Doncaster on a number of levels in order to improve their lives and the local community. Club Doncaster Foundation is a development of Doncaster Rovers Foundation to reflect new strategic partnerships and alliances with Doncaster Rovers, Doncaster Rugby League Club and the Keepmoat Stadium. Key focuses for the foundation are post-16 education, citizenship, raising aspiration levels in schools & increasing sports participation. Away from his work with the Foundation, Liam is also a keen fundraiser and over a 10 year period has raised over £100,000 for a range of national and international charities including NSPCC, Education for Life (Kenya), and LCP (Little Children of the Philippines). A crowning moment for Liam and his charity work was when he project managed and completed the DRFC Inca Trek which was completed over seven days in temperatures ranging from -14Oc to +35oC. Liam, fellow Doncaster businessmen and a number of Doncaster Rovers players and backroom staff, completed the Trek in record time, along the way collectively raising £75,000 for the NSPCC. Prior to his retirement in late 2014 Mike was the Finance Director for the Northern Lincolnshire & Goole Foundation Trust, a position he held for a number of years. A keen amateur footballer in his younger days Mike still maintains a continued interest in sport at all levels and how it can be a focus for community cohesion. Mike lives in Hull and has been a long term supporter of Hull City since childhood – he combines this with supporting England at various international events in football, cricket and rugby union. Mike currently works part time at a variety of project & business management support roles. Kamel is an ex banker with 38 years’ experience across financial sectors as well as being a highly respected speaker and advocate on diversity issues. Using intrapreneur skills she designed and developed the Asian Strategy for Lloyd’s Bank, resulting in improving access to finance, product development and communication. She has led major change programs, developed community initiatives such as HRH Business Connectors & School for Social Entrepreneurs and was asked to lead Lloyds Bank’s 250th anniversary campaign. Kamel is passionate about diversity and founded Lloyd Bank’s BAME network and chaired the Government Task Force for supplier diversity prior to the London Olympic Games. More recently she has begun to advise a number of charities and organisations on governance and outreach programmes including the Queens Commonwealth Trust, Alzheimer’s Soc, Khulisa and Cherie Blair Foundation. She is a Trustee for Teenage Cancer Trust & Memusi Foundation as well as Non-Executive Director to two companies: Sterling Media – helping them on their strategic aims and TLC Lion’s helping move the dial on diversity using emotional engagement. 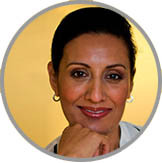 Kamel has received numerous awards over the years for cultural cohesion and leadership of women including being awarded the Eastern Eye Woman of the Year in 2010, being recognised by former PM Gordon Brown as one of his Top 10 Diversity Champions, receiving an Honorary Doctorate from the World Sikh University in London. More recently Kamel has been included in the FT 2017 Top 100 Diversity Leaders list and received an OBE for Diversity in Banking in 2017. Never afraid to push the boundaries, Anjna is the driving force behind Media Moguls, one of the UK’s leading multicultural marketing and PR agencies. An Oxford graduate, she has been in the marketing industry since 1988 and launched the agency in 1994. 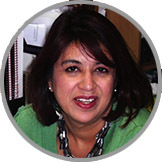 Dynamic and creative, Anjna pioneered the term ‘brown pound’ and provided cultural insight and expertise into the fast growing multi-ethnic consumer landscape at a time when the ethnic market was untapped and poorly understood. Equipped with a cup of coffee and an unstoppable attitude, she is always ready to take up a challenge and create innovative and integrated campaigns for her client. Her hard graft and expertise has helped deliver some of the most ground-breaking campaigns for a host of private and public sector clients over the past 20 years. Having broken down personal barriers in her own career, she is determined to ensure that the Asian community as well as other ‘minority’ ethnic communities, forge a path that allows them to succeed and have both a visible presence and voice in non-traditional arenas – be it media, sports or the entertainment industries. She believes that equality and representation can only come when both parties have a mutual respect for each other’s skills, talents and prospects. 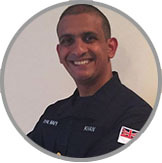 Surgeon Commander Mansoor Khan is a Military Trauma Surgeon at the North-West London Major Trauma Centre based at St Mary’s Hospital, Paddington. He has served on multiple military operations, including Iraq and Afghanistan. 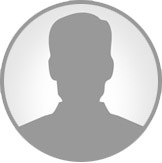 Mansoor graduated from King’s College School of Medicine and Dentistry in 2000. He completed his Registrar training in the South Yorkshire Deanery and undertook a 1 year Trauma Fellowship at the R Adams Cowley Shock Trauma Centre in Baltimore. 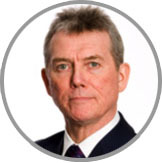 Having gained his PhD, he was appointed to the position of Senior Lecturer in General Surgery to the Academic Department of Military Surgery and Trauma and is currently the Consultant Advisor in General Surgery to Medical Director General Royal Navy. 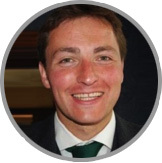 His interests include Primary Injury Prevention, and current projects include methods of intervention for Non-Compressible Torso Haemorrhage and Spinal injury prevention under the auspices of the FIA/CBIS. He is actively involved in providing medical cover in support of the Automobile and Touring Club of the United Arab Emirates, including the Abu Dhabi Formula, Dubai International Rally and the Abu Dhabi Desert Challenge.